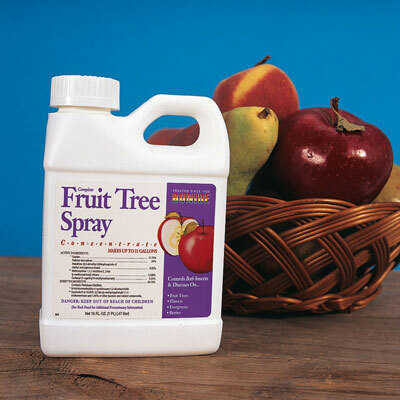 Fruit Tree Spray | Henry Field's Seed & Nursery Co.
Protects fruits, strawberries, roses, flowers and evergreens from aphids, mites, scale, codling moths and fungal diseases. Contains captan. Keeps sprayer nozzles clog-free. 1-oz. concentrate makes 1-gal. spray.